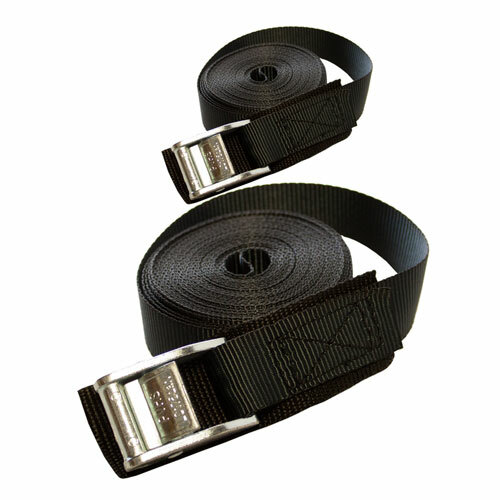 Set of 2 high quality extra long load straps with protection behind the buckle. Makes loading and transporting boats a quick and safe procedure. Cam-action buckle and high quality polypropelene webbing. 5 m long 25 mm wide.